Termites are costly and hazardous for property owners. Every year, subterranean termites cause billions of dollars worth of property damage. They are a serious and expensive menace to both home and business owners. 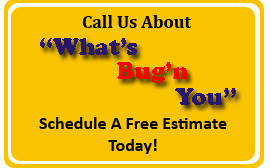 Since 1976 Anchor Pest Control has been inspecting homes and businesses for subterranean termites. We want you to think of us as your termite specialists, providing termite treatments and termite control to destroy termites and protect structures from reinfestation. Integrity is our foundation. Our honest inspections will provide you with the information you need to determine how extensive of a termite treatment is necessary. Once we’ve applied the appropriate treatment and initiated preventative future infestation actions, we’ll help you determine how best to repair the termite damage. Keep wood debris, scrap lumber and mulch away from your structure. Seal cracks in your foundation. Keep gutters free of debris. Remove termite infested trees from your property.